Play Fruit Sensation™ online for free now! The fruits, numbers and bells of Fruit Sensation™ have a burning desire to grant you hot winnings if they land in the right combination. Pluck a few Twists and keep an eye on the magic 7 - it will give you sensational winnings. Try it now and grab the colourful fruits - the season for sensational winnings is all year round in this slot! 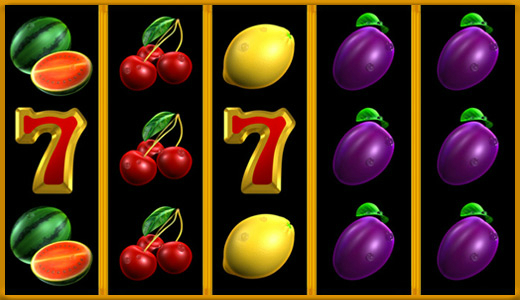 The colourful fruits in Fruit Sensation™ are bustling on 5 reels and up to 10 win lines. Land 5 identical symbols along a win line to squeeze the fruits to the max! All winning patterns start on the left side of the first reel and run along the win lines to the right. You win if several matching symbols land along a win line without being interrupted by other symbols.